One of the best kitchen appliance inventions in recent times to me is the air fryer. Bar none. I ditched my deep fryer years ago because of not only the mess involved in using it but deep fried food, although, delicious, just isn’t healthy. I love crab rangoon, and this Air Fryer Crab Rangoon fits the bill. We can have crab rangoon anytime we want, and I know it’s much healthier than deep-fried crab rangoon. Plus, I do love not having to use oil, not just because of the extra calories and fat, but clean up is so much easier. 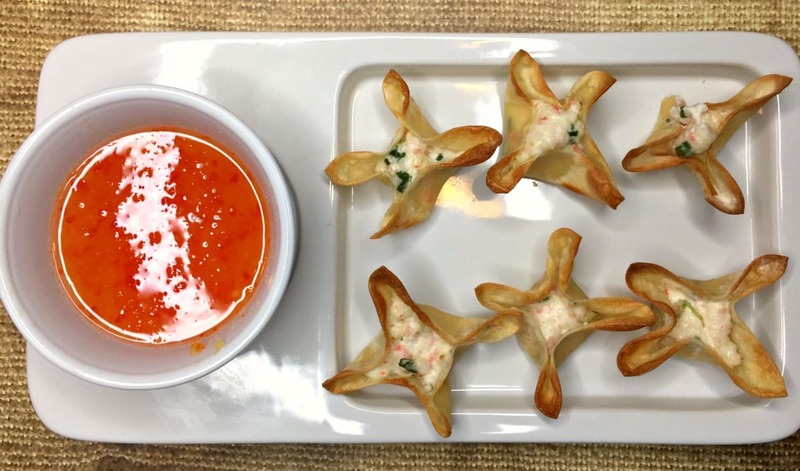 Whether as an appetizer, snack, or meal this air fryer crab rangoon recipe is a must try! Preheat air fryer to 350 degrees. Combine cream cheese, mayo, and crabmeat in a bowl and mix with hand mixer until well incorporated. Add green onions and garlic and fold in to combine. 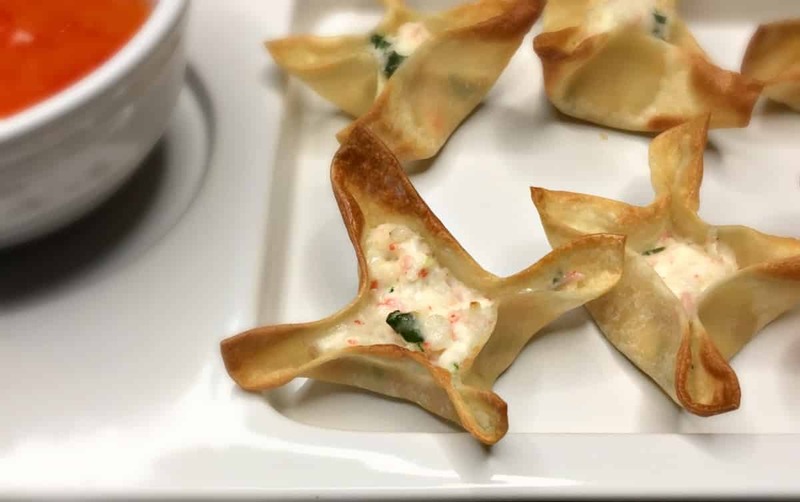 Fill won ton wrappers with a spoonful of crab mixture and fold up to make 4 corners. Place in air fryer and air fry for 2 minutes and 45 seconds. Note: The trick to folding crab rangoon is to have a gentle fold across each corner. You want to avoid pinching the wrapper but instead have a loose fold. Start the filling in the center, and gently push up on the sides about a third of the way into the wrapper. You will find that the wrapper will fold on the corners this way, and once it starts folding gently tuck in the sides, leaving the edges in a wide loop. 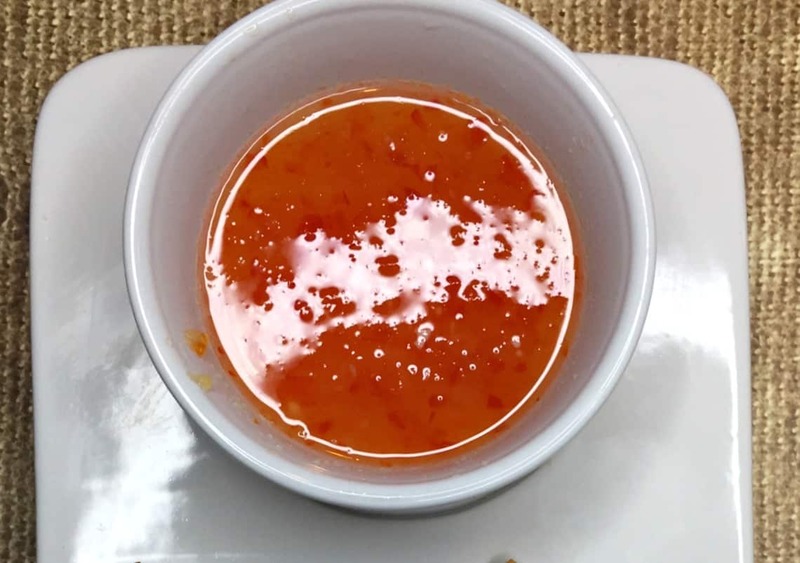 Place pineapple garlic, and red pepper in food processor until almost pureed. In a saucepan add white vinegar, sugar, water, and pineapple mixture and bring to a boil. Set on simmer until thickened and clear but red color in tone. 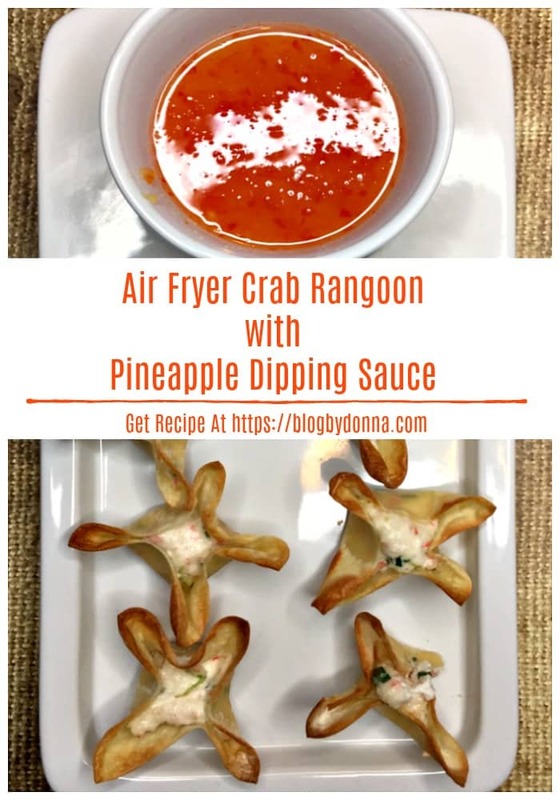 Hope you enjoy this Air Fryer Crab Rangoon and Pineapple Dipping Sauce. Not only are they healthy and delicious, but less mess and quick to make. Also, check out this Lobster Chowder with Potatoes and Corn recipe to accompany your crab rangoon. Do you have an air fryer? This is the air fryer I have and love it. And here are some cool air fryer accessories you might like. What’s your favorite thing to make in your air fryer?